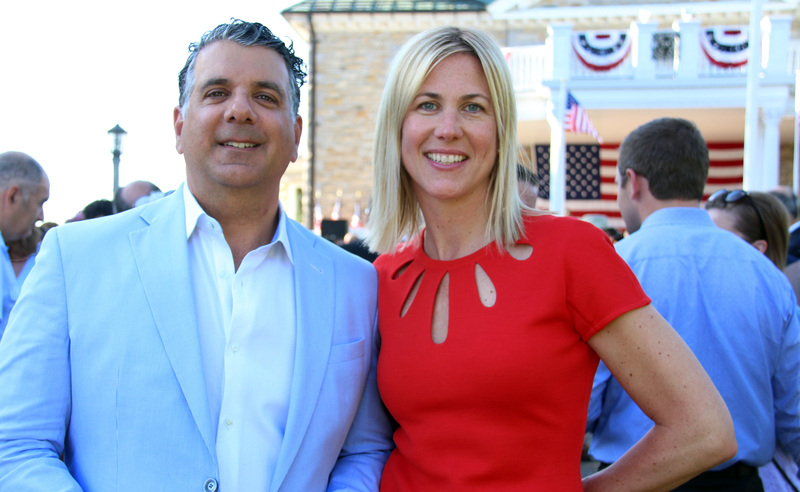 Some 3,000 invited guests turned out to the annual Fourth of July celebration held Tuesday on the sprawling lawn of the American ambassador's official residence, Lornado. A vacancy sign has been hanging on the diplomatic position ever since Bruce Heyman’s departure in January, but U.S. President Donald Trump recently nominated Republican fundraiser and billionaire spouse Kelly Knight Craft for the role. She’s married to coal magnate Joe Craft. Currently running the embassy is U.S. Chargé d'Affaires Elizabeth Aubin, who’s been in Ottawa for just over a year. She welcomed everyone from the limestone-brick home’s covered and columned verandah, speaking against the backdrop of an American Flag and surrounded by festive bunting. Canadians and Americans enjoy a “remarkable relationship” that extends far beyond their 5,525-mile shared border, said Aubin before courteously converting the length to kilometres: 8,891. The neighbouring countries see nearly 400,000 people and $2 billion in trade flow across that shared border each day. As well, the cross-border collaboration of law enforcement agencies keeps both nations safer, she added. Aubin briefly mentioned her own “unbreakable bond with Canada”. She’s married to a Canadian, Daniel Aubin. She later told OBJ.social how it was the horrendous events of Sept. 11, 2001, that brought her and her husband together. They met while she was a brand new diplomat at the U.S. consulate in Toronto and he was the tactical commander of the emergency response team for the RCMP’s “O” Division, assigned to watch over the consulate immediately after the terrorist attacks. Federal Transport Minister Marc Garneau, who’s also chair of the cabinet committee on Canada-U.S. relations, addressed the topic of bilateral relations. Garneau, who was the first Canadian in outer space, was introduced by Aubin as her "favourite astronaut." Federal Transport Minister Marc Garneau addresses the crowd at the U.S. Embassy's annual Fourth of July celebration held at Lornado in Rockcliffe Park on Tuesday, July 4th, 2017. "No two countries share deeper or broader connections than Canada and the United States," said Garneau, before quoting former Republican president Ronald Reagan. "We do, certainly, have a lot of history together. We have been allies for a long time. We are stronger because we can rely on each other, in good times and bad." Earlier that day, Garneau had announced $2.1 billion in funding over the next 11 years into trade and transport infrastructure, from border crossings to ports and waterways to airports and rail networks. Other politicians in attendance included Orléans Liberal MP Andrew Leslie. The retired lieutenant general is parliamentary secretary to the minister of foreign affairs, with special responsibilities for Canada-U.S. relations. 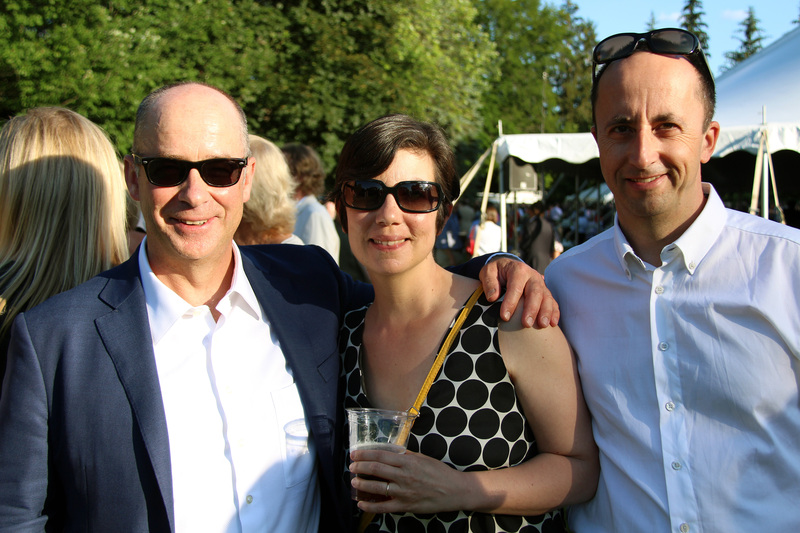 The theme of this year's Independence Day party was Summer Picnic in the American Tradition. Juno Award-winning soul singer Sean Jones kept everyone entertained and in the party mood on what turned out to be an idyllic setting for celebrating American Independence Day. The picnic theme served up such al fresco favs as corn on the cob, ribs, beef sliders and Dairy Queen Blizzards, as well as fish tacos, deep-dish pizza, side dishes, drinks and more desserts.